1.24" Overall Length M12 x 1.5 Thread Size 13/16" Hex Size. Tuner Style Cone Seat Wheel Installation Kit. 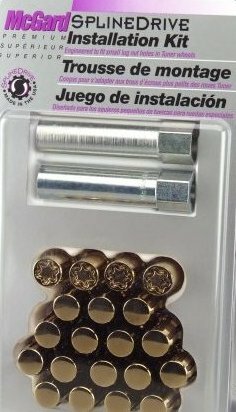 Set of 16 Lug Nuts, 1 Installation Tool, 4 Wheel Locks and 1 key.